Can you claim compensation for GP negligence? If you believe that GP/ Doctor negligence led to an injury or exacerbated an existing medical condition then you may have a valid GP negligence claim for compensation. Misdiagnosis of an illness/ injury. We can appreciate that most GPs work extremely hard and can face budgetary challenges but each patient is legally obliged to receive an appropriate level of care. If the standard of care received from your GP/ Doctor has fallen below this level then this may leave a GP open to claims of negligence and compensation. There are occasions where common symptoms may be associated with relatively minor medical conditions when perhaps they are a sign of something more serious. In many situations it is only through blood tests and other similar actions that the underlying issues can be identified and treatment given as soon as possible. Refusal to offer such tests can sometimes be sufficient to prove GP negligence. 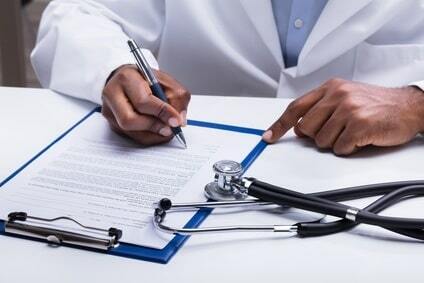 When making a GP negligence claim for compensation the legal measure of the standard of care received is what a patient should expect from a similarly experienced/ qualified medical practitioner. Where a GP is able to prove that they provided an appropriate level of care, even if there were additional medical issues, it will be hard to prove negligence and pursue compensation. There might also be occasions where proven negligence by a GP did not lead to any additional pain and suffering or trauma for the patient. In this situation, even though negligence has been proven, compensation may not be forthcoming. Matching the experience of GPs with workplace activities. While it will depend upon the setup of the individual medical practice, the majority are part of the NHS service and funded by the government. Even though GPs are obliged to have their own insurance in place in the event of personal malpractice claims, many compensation claims are covered by the NHS self-insurance service. These compensation awards are referred to as “general damages” and relate simply to the pain and suffering of the victim. Where the illness has proved to be fatal “special damages” which include loss of earnings can significantly increase the overall payout. In order to make a GP negligence claim there will of course need to be a degree of medical negligence involved. In relation to GP negligence, which tends to revolve around misdiagnosis, the claimant will need to prove the level of care administered fell below legal expectations. The common measurement of this level of care relates to that which the victim could reasonably expect from a similarly qualified/ experienced general practitioner. Supporting evidence for claims of negligence might include details of treatment received, tests undertaken (not undertaken) and potentially details of similar negligence claims showing a pattern, together with witness statements where applicable. Most solicitors that deal with medical negligence and GP negligence claims now offer free consultations and will be able to discuss your circumstances with you and offer their expert advice on whether your claim against the GP is likely to be successful. Many personal injury solicitors will also make a GP negligence claim on a No win No Fee basis if preferred. Once a personal injury/ medical negligence solicitor has has agreed to start your claim they will forward details of your case to the courts, at this point the defendant will also receive a copy of all paperwork. There are situations where GP negligence is quite obvious and accepted by the defendant, often leading to an early settlement so the case doesn’t require going to court. Where GP negligence may be disputed, or perhaps there is a need for legal advice regarding shared negligence, these cases would likely go before the courts. A court judge would issue a ruling on your GP negligence claim and where appropriate confirm the level of compensation to be paid.